Each Stripline has a soft carpet surface bonded to a hard-wearing rubber anti-slip base. Striplines are used to develop movement and sequence building skills. Games incorporating the wooden Spinner encourage children to balance on large and small body parts, hop, jump, roll, twist or turn. 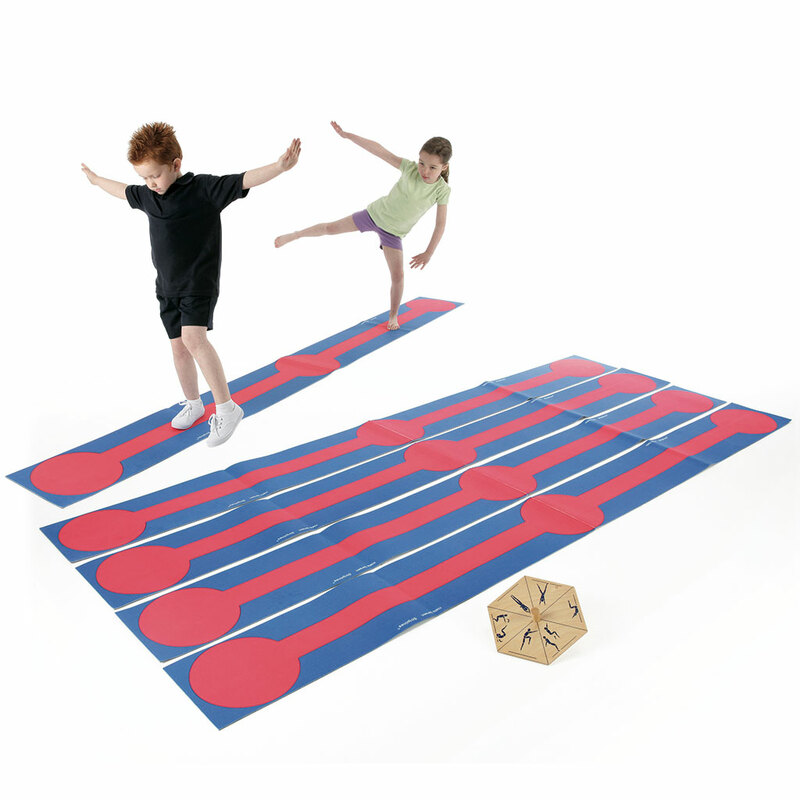 Striplines can be used singly as gym mats, hook and looped together in pairs or as a square. Following the red lines develops basic beam/bench balance skills.